0.5" x 1.75" arrow post-its. 100 per pack. Great as a place holder or to direct attention to whatever you deem important. 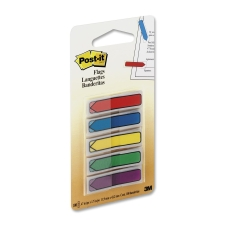 Also excellent for when you want to mark something without actually writing on it. Includes a clear dispenser.